The Philippines has a grand Arnis history that stretches way back to 900 AD. Filipino Stick Fighting has made a huge difference in the Filipino society. The Philippine Bolo Battalion during World War II. It’s a history that is filled with splendor; one that will inspire anyone whether he is a martial artist or not. Waves of migrants and cultures have influenced the Filipino Martial Arts and the art as we know it today is the product of more than a thousand years of evolution. At about 300 BC, the Malays settled in the Philippines. 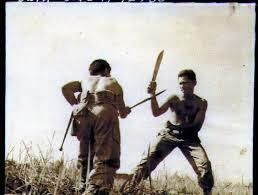 They brought the long knife with them which was among the first bladed weapons in Filipino Martial Arts. Weapons of various sizes and shapes were brought into the country, but the curved, bladed knife called “Kris” from Java was the earliest foreign weapon that was transported into the fighting arts of the Filipinos. In 1518, King Charles I of Spain was convinced by Ferdinand Magellan to sail west into the Moluccas (Spice Islands) to search for spices which were a very precious commodity at the time. The King of Spain was convinced that the Moluccas Islands were situated lateral to Spain as illustrated by the Demarcation Line and which was consistent with the Treaty of Torsedillas. King Charles I decided to embark on an expedition towards the Moluccas under the leadership of Ferdinand Magellan. The King sailed across the Atlantic Ocean, and the expedition cruised southwards on September 20, 1519. Magellan arrived at the southernmost tip of South America, where he navigated to the Pacific Ocean straight (Magellan’s Strait). On March 1521, he eventually reached the Marianas Islands. Magellan and his crew rested in the Marianas and gathered whatever provisions they can find to continue their expedition. On March 17th, 1521, they sighted the mountains of the island of Samar, which marked their arrival in the Philippines. On April 28th, 1521 Magellan and his troops paddled towards the shore of Mactan, over knee-high water. Raja Lapu-Lapu met them, and his men who treated Magellan and his crew as an enemy and the battle of Mactan Island was set on shore. Antonio Pigafetta, a historian at Magellan’s side, mentioned in his records that Lapu-Lapu’s troops were equipped with fire-hardened sticks. In this encounter, Magellan was slaughtered by the leader Raja Lapu-Lapu and his Kampilan (a single bladed sword) with a thrust the leg then a slashing strike to the neck. In 1542, the island group was formally named “Las Philippines,” in respect to Prince Philip (later became King Philip II of Spain). Ruy Lopez de Villalobos, an explorer, and one of Magellan’s forerunners took credit for granting the archipelago its name. The Spanish ruled in the Philippines only until 1898 when they were overpowered during the Spanish-American war. In this extensive period of colonization, Spain had made a huge difference in the Filipino culture. Initially, the majority of the people were converted to Roman Catholicism except for the Muslim Moros in the Sulu archipelago. Spanish fencing had a direct influence on the Filipino fighting arts ranging from the attack angles to the creation of Espada y Daga. 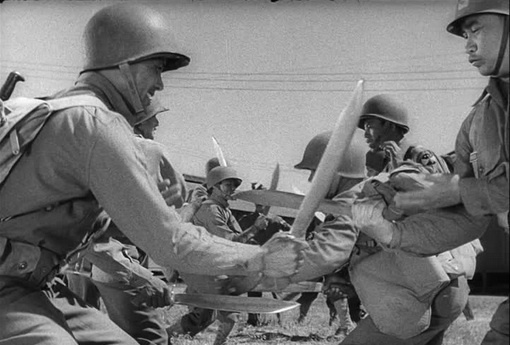 When the Spaniards banned the practice of each native fighting art along with the carrying of sharp bladed weapons throughout their occupation in the Philippine islands, the Filipino arnis history practitioners came out with the ingenious idea of replacing the sword with a rattan stick. Originally, striking with the rattan was delivered in the same manner as the blade did in thrusting and slashing, and the short stick or knife served as a backup weapon to be used when the opponent comes from close range. It was barely ever utilized to parry or block an impending strike. This sudden shift in training and practice was a turning point for Filipino martial arts as the Filipino eskrimadors realized that the stick had various handling characteristics and that certain strikes were much better executed with the use of the stick than that of the sword. These attacks include the snapping and curved strikes that are among the signature strikes or Eskrima. As the stick’s combat efficiency became better understood, the application of the knife also changed, and it is utilized in more lethal and dynamic ways like parrying, blocking, scooping, checking, slashing and thrusting. It is when the Filipino martial artists began to combine the stick and the knife that “Olisi y Baraw” was created; a dagger and stick fighting style. Eskrima and Arnis are utilized in the Philippines’ as weapon-based martial art. Kali, as a term of such reference, is used by other practitioners in other countries as well. “Arnis de Mano” is a particularly tricky name. The handling of such harnesses during stage plays made a lasting impression on the Spanish settlers such that they called it ‘Arnes de Mano.’ The style Arnis, which is a Spanish word in itself, uses many Spanish words to express its techniques. A good example of this is ‘Espada y daga’ or “sword and dagger” (in English). “Eskrima” is another inclusive term. The word originated from the term ‘Escrima,’ which, again, originated from the Spanish word ‘Esgrima’; a term used for fencing. It is also believed to be interpreted as ‘to skirmish’ although there is no evidence for such claim. The term “Kali” is usually the most divisive. Loads of martial arts instructors and schools believe that the term “Kali” is a combo of the terms Kamut (hand) and Lihok (movement). It’s also assumed to be the mother art of Arnis history or Escrima, but such assumptions lack evidence. Arnis History: The different forms of Eskrima. Kali or Kahli, as it’s written at times, is a kind of stick in Visayan and mustn’t be utilized to refer to the art of fighting. Also, Kali is the Hindu Goddess of Destruction. Furthermore, the Moros who reside in the Sulu islands would frequently go into combat clothed like the Kali; the Goddess of Destruction. The more plausible fact is the Tagalog term for a large, bladed weapon called Kalis. This was simply shortened to “Kali” referring to every one of the bladed weapons. Dan Inosanto popularized the term. Antonio Illustrisimo, interviewed in 1993, stated that he simply utilized the word due to convenience since international students are familiar with it; however, he preferred the word Escrima since it was what the art was called when his uncles were teaching him. Whatever term is utilized to express the fighting arts of the Filipinos these days, it’s apparent that they provide excellent training and skill to those who want to learn them. The training of Filipino martial arts traditionally begins with large weapons and then shifts into shorter ones until your hands are holding nothing. This is because of a practical and historical nature of the environments found in the Philippines. Endless wars between opponent tribes and attacks from aggressors overseas have occurred all throughout the history of the Philippines. These wars provoked the necessity for readiness in combat. Survival didn’t depend on who was the strongest but on who the smartest. Early Filipino settlers utilized whatever means they could to protect themselves and keep aggressors and predatory animals away from their lands. This could mean throwing a piece of rock, or slashing with a twig, and maybe poking their opponents with a pointed object. The weapon was utilized to balance the variation of strength, aggression, and speed between an individual and his enemy. Imagine the broad spectrum of the Philippines Islands. There are more than 7,000 islands, and these are grouped into the three major island clusters: Luzon, Visayas, and Mindanao. There are more than a hundred various dialects all over the Philippines. On the other hand, Tagalog is the general language spoken. This signifies a need for central organization and communication, yet there’s a central theme in the Martial Arts, which spins around fighting and combat. The techniques utilized in the various martial arts styles and systems are rather different, but the ideas of winning and combat, in general, stay the same. The Filipino Martial Arts isn’t an empathetic art; it’s a dangerous and vicious form of self-protection. There are loads of exceptional styles of the martial arts all over the country. Despite the hullabaloos behind the start of the different styles and systems of Philippine martial arts, the “Escrima,” “Kali” and “Arnís” remain to be the most frequently utilized names for the native Filipino Martial Arts. Whatever the style, system or name, Filipino martial artists often prefer the most excellent available weapons to get the finest advantage over their enemies. These may include an array of projectile weapons, bladed weapons of all shapes, sizes, and length, and the famous rattan and hardwood weaponry. That is, any item held in an individual’s hand is a possible dangerous weapon. Nearly all systems of the Philippine martial arts have empty-hand techniques that look like a combination of boxing in the west. In fact, these techniques come from the weaponry applications. Due to a lot of creativity and innovation of the Filipino Martial Artists, countless systems have turned unique and personalized. The history and development of Escrima are similar to the growth and progress of the Philippines as a nation. The different invaders and immigrants have had a wide influence on the country’s history and martial arts. Around 200 A.D., Arab traders brought sharp bladed weapons and a smooth fighting style to the Philippine Islands. These Muslim settlers in the southern part of Mindanao were known for their persistence and skill in driving invaders away from their lands. During the 9th century, the Chinese started trading with the Filipinos, bringing with them a contribution to the development of Eskrima. Trade with the Japanese was quite heavy during the pre-Spanish period (around the 15th century.) Thus, Filipino martial arts were further refined as the blade techniques were combined with the locking martial art methods of the Japanese. The Spanish businesspeople who followed Ferdinand Magellan during the mid-1500s introduced their “Espada y daga” styles, and the natives were able to adapt quickly to this new martial arts system. Each of these outsiders had made an impact on the Filipino stick and bladed based martial arts. The Spanish attempted to manipulate the Filipinos, and it is because of such manipulation that the art of Eskrima was drawn up in secret. In their mission to Christianize, exploit and claim the Filipinos, the Spaniards decided to ban the practice of Eskrima. Death was the penalty for the violation of such laws. The Spaniards imposed these very strict laws because they thought that the Filipino martial art was very dangerous and deadly. The idea of having a host of Filipino revolutionaries equipped with the deadly skill of the martial art was beginning to threaten the Spanish settlers. Eskrima turned into a clandestine martial art for more than 400 years. Different types of moves, techniques, and countermoves were lost in isolation during that period. On the other hand, many of the lost movements were substituted with what the Spaniards brought with them. It must be noted that the Spanish didn’t have power over all the islands of the Philippines. They only have their reach from the central fringe and coastal areas, and they did not dare to enter the jungles and forests because of the numerous poisonous snakes and vicious people whose martial arts they’d banned within the cities. By the early 1900s, Spanish tyranny over the Filipino people had made a full blast on the practice of Eskrima. Only a few of the Eskrimadors during the time continued to train in secret and preserved the valuable stick and blade techniques. The Americans took over right after the defeat of the Spaniards in the Spanish-American war in 1898. For five years, the Filipino people fought against the Americans, because they closely resembled the Spanish even though they only wanted to settle in the Philippines. In due time, the Filipinos accepted the Americans and lived in peaceful terms. The Americans brought with them the martial art of boxing, which no doubt has influenced some the most recent styles of Eskrima. When peaceful coexistence finally came, the Filipinos learned of the tremendous wealth of the American nation and many flocked to Hawaii and the USA was hoping to become rich and return home wealthy. Once in America, however, the immigrants found that the streets were not lined with gold and that hard work six to seven days a week was the only way to earn a living, usually with low wages. Modern Escrima (1920-1950) took a giant step forward at this point because Escrimadors from all over the Philippines were brought together to work and live. Past suspicions and ethnic barriers were dropped from each ethnic group of plantation workers was responsible for their section of land, and their profits depended on the yield of their section. Competition for jobs was high because other immigrant workers were there competing for the same jobs as the Filipinos. When Filipino men were not working in the fields in Hawaii and California, they gathered to practice Escrima and preserve their timing and movements. Lasting friendships developed between masters who were it not for immigration would never have been brought together; much less become friends. Some of the elderly Filipinos in Hawaii remember the days when you could go to the old Civic Auditorium in Honolulu and watch full-contact matches: two men with sticks but no protective gear fighting it out until one could not continue. Combatants were devoted to their masters and their styles, each believing his style was better than his opponents and ready to prove it in the ring. In 1929, the matches were outlawed in the territory of Hawaii because of two deaths and constant serious injuries suffered by the participants. A student is first introduced to the art by learning basic arnis stick exercises. He or she is shown the basic twelve offensive strikes. These are practised extensively before the student is permitted to advance to the twelve basic defensive blocks. After the student becomes comfortable with the basics, the most advanced forms like the “doblebata,” which is the two sticks, “Espada y daga,” “saboy,” which is one long stick, and staff, which is, the two-handed stick is practiced. One of the more exciting forms is “one for one” in which a strike is delivered, blocked by the opponent who follows with a strike to the closest area immediately after the block. This form of fighting can continue for long periods and is the closest thing to actual fighting. There are many variations such as hand-against-weapon and hand-against-hand. The most advanced forms of Escrima are the counter-for-counter movements. The loser is determined when he or she cannot counter the other’s move. Emphasis is placed on the student’s ability to learn and progress, advancement in the ranks is based on ability, and the observation of the instructors rather than merely the length of time spent in class. One student may advance quickly while another may be too slow to develop, but everyone is given the same chance to learn. The three key elements of learning Escrima are speed, flow, and timing. There are few sharp, sudden movements, only smooth flowing transitions from each movement to the next. The flowing skills are the most important and most difficult to learn and apply. Respect for the master, the instructors, and all other martial arts schools are a crucial part of the training. The physical and spiritual aspects of Escrima are nurtured simultaneously. As in the former days of Escrima, secrecy and self-control are stressed. It is only in public demonstrations that the student is encouraged to share their martial knowledge. In days of past, many of the old Escrima Masters would choose to die with their martial knowledge rather than teach it to someone that might disgrace the Master. Remember always to respect the art and the master. Escrima, a Filipino art of weaponry, has a colorful and long history. Many of its past have vanished because only little details were recorded before the 1900’s. However, it was somewhat taught from father to a child. Teachers and masters of the skill would pass their secrets and known only to a chosen few who deserved such training. We are fortunate to have teachers who’ve been and are presently enthusiastic to share their awareness of the art with their students. These teachers care about endorsing the culture of the Filipinos and showing to the community that Filipinos have their respective martial art.